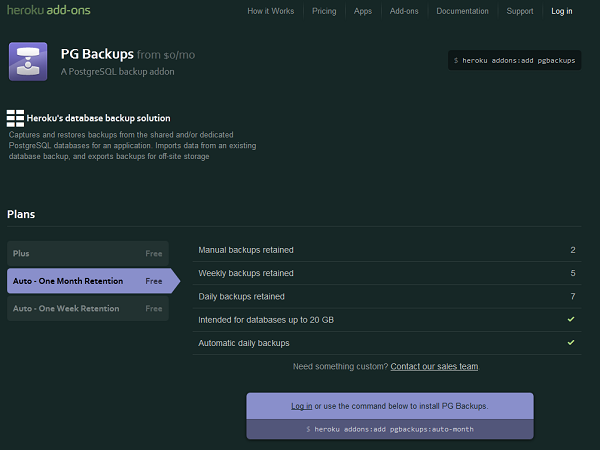 You can now use "pgbackups" to backup your databases or import an external backup. Use `heroku addons:docs pgbackups` to view documentation.
! No backups. Capture one with `heroku pgbackups:capture`. Use `heroku addons:docs pgbackups:auto-month` to view documentation.